It seems that every few months, we hear about another algorithm update that Google has unleashed upon the masses. The panicking and fear that this causes among webmasters is immense, but in most cases, relatively few websites are impacted. Google’s main reason for doing so is to weed out lesser quality websites that may be trying to skimp on quality, or who are trying to game the rankings without providing much in terms of service or information. Two of Google’s main algorithm series, Panda and Penguin, have gained the most attention as of late, with fairly recent updates coming from each of them. What exactly is the difference between the two, and why should you care? We’ll discuss each below, and what a future update from both may mean for your website. The primary focus of Panda is to find websites that are trying to pass low-quality content off as good content, and subsequently penalize them for it. 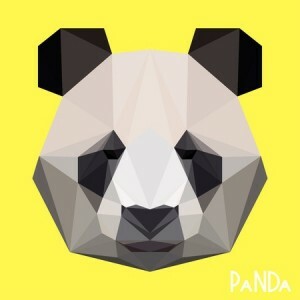 Panda was first launched in early 2011, and was aimed at websites that either copied and pasted content from one variation to their site (common with location-based sites at the time) onto others, and that filled many of their pages with less than ideal content. Since its inception, Panda has had roughly two dozen updates to ensure that it is pinging websites and discovering which ones are properly featuring content. Issues relating to plagiarism, a lack of content or low-quality content are all issues that are assessed by Panda algorithms. Launched roughly one year after Panda, Penguin is designed to focus on another important area of search engine compliance for Google: ensuring that websites follows the Webmaster Guidelines. For a website to be indexed and displayed by Google, it must adhere to certain guidelines. Penguin is used to discover websites that engage in black hat SEO, which are tactics that can boost a website’s rankings without actually doing so in an organic or accepted way. Unlike Panda, Penguin has only been updated a few times since its release, but the updates have been far more comprehensive each time they have been unveiled. Penguin addresses areas such as questionable backlinks, keyword stuffing, and other over-optimization tactics. Websites are often penalized when found to be in violation of Google’s Webmaster Guidelines, and their rankings suffer as a result. When it comes to Panda, the best way to avoid being harmed by the next and future updates is to ensure that your content is original and engaging. Organic content is becoming easier to detect as search engines like Google continue to improve their algorithms; if you skimp in this area or try to copy content across multiple websites, then you’ll be in for a rude awakening. With Penguin, the best way to avoid being harmed by updates is to ensure that all links coming into and going from your website are high-quality, and that no other black hat SEO tactics are being used. If you find others pinging your website from places of questionable nature, then use the Disavow Tool that Google offers to avoid being associated with them. « What Can I Gain from a Balanced Evergreen/Dynamic Content Strategy?